The Winter Olympics of 2018 are officially over, signaling a wrap on our cold-weather sports this season. It’s a bittersweet time: Saying goodbye to the thrill of snow- and cold-weather-based activities for the blossom of springtime is always a toss-up. On the one hand, spring means the days getting longer and the smell of fresh-cut grass – plus summer is just around the corner! But on the other, it’s hard to say goodbye to the equipment that got you through the long, cold winter in the first place. If you’re looking creative ideas for storing and honoring your snowboard and skis – plus the gear you’re not quite ready for, like your surfboard and bike – you’ve come to the right place. If only creative gear storage was an Olympic sport – we’d definitely take home the gold for that! First thing’s first: Inspect your gear for any signs of damage. Check your pants, jacket, gloves, and boots for any major holes that could impair their waterproof capacity. Then, examine your board’s bindings for any broken pieces or scratching. Use a screwdriver to remove the bindings – you’ll need them out of the way so you can tune and wax your snowboard. Which brings us to our next step: The fine tuning (and waxing). You can take your board into a shop to have it taken care of. Or you can do it yourself, following these nine easy steps from Nonstop Snow. Once that’s done, you’ll need to mount your bindings back onto your snowboard. 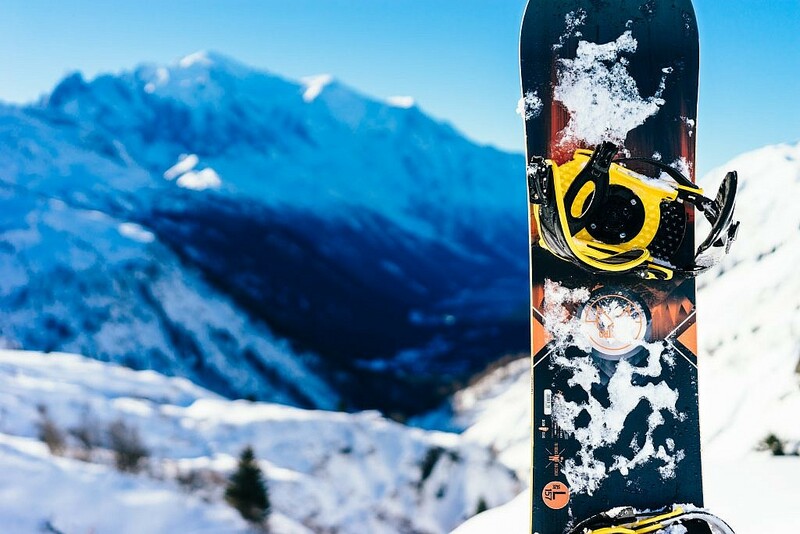 REI’s got you covered with their comprehensive guide to installing snowboard bindings. Now you just need to find a resting spot for your board BFF. Choose carefully: Boards can lose their camber (the part in the middle that slightly curves) if they’re kept on a hard surface for extended periods of time. Boards will be comfy and safest either in a carpeted area while hung up, stacked, or zipped in their snowboard bags. One option? Honor your board by keeping it on display year-round with a skateboard rack – this wall mount works wonderfully for snowboards, too. Or take a note from Sierra Trading Post and craft your own rack for multiple boards. Preparing skis for storage requires the same basic formula as you’d use for a snowboard (times two, of course). 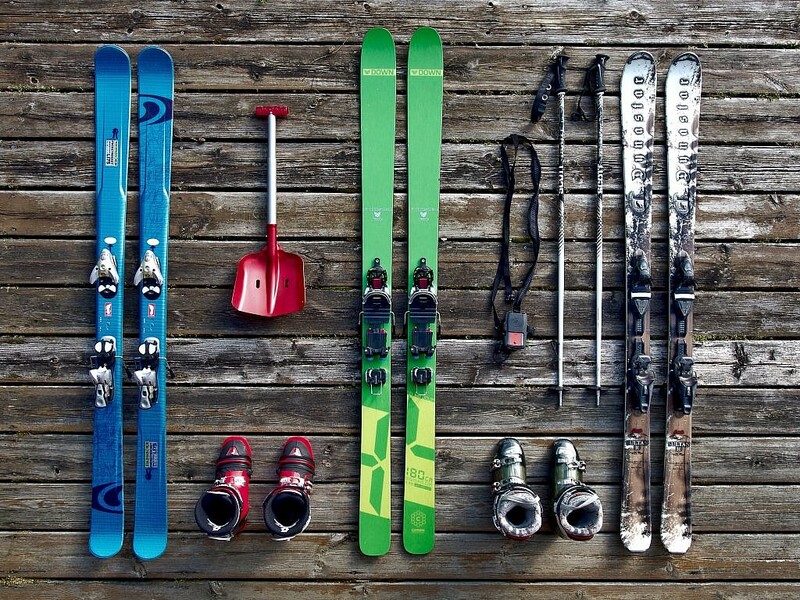 Then keep your skis, poles, and boots fresh with the Monkey Bar storage rack. Don’t forget about the rest of your equipment! Keep everything safe and all in one place with an over-the-door shoe rack, like DIY Village did. The waves called: They’re not ready for you yet. 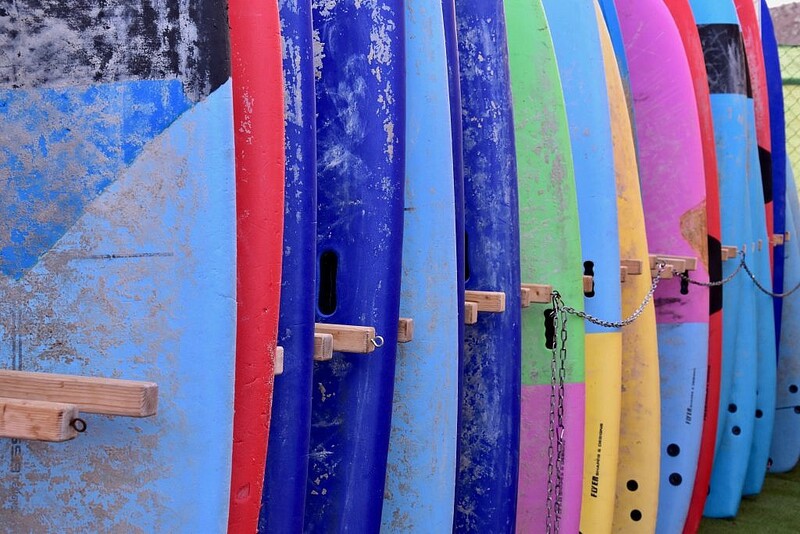 So where do you store your surfboard in the meantime? First thing’s first: Make sure there’s no wax lingering on your board. Once you’ve safely scraped it off and sprayed it with WD40, get to storing. A freestanding rack like the Cactus offers two benefits: It keeps your board out on display, and it doesn’t require any drilling for installation. If drills aren’t an issue, then keep your board protected with the minimalist rack known as El Gringo. Pre-spring: It’s that awkward season between cold weather and random sunshine, when you might need quick access to your bike for an impulsive ride on a warm weekend morning. So how to keep your bike handy (but not so handy that you trip over it every time you walk to the kitchen)? Easy: Mount a bike rack. There are tons of creative bike storage ideas out there, so it comes down to your budget and any rental restrictions. For basic bike mounting without any frills, there’s always the SKRÄLL from Ikea. At $2 a pop, you can get your two-wheeler mounted for under five dollars. But if you’re not supposed to drill holes in your wall, don’t worry – you can hang your bike and get back your security deposit with the Michelangelo Two-Bike Gravity Stand. The stable drill alternative fits indoors or outside, and can easily be assembled in minutes. Plus, like its namesake would imply, it truly is a work of art. Or maybe you’re pressed for space, and don’t think you have room for a bike shelf and a work space. Think again, because the De5K is a desk with (you guessed it!) a built-in bike rack. Since there’s no wall assembly (or much assembly at all, really), this is another great pick for renters with restrictions (and tight spaces!). Our final suggestion for treating your bike like the masterpiece it is? 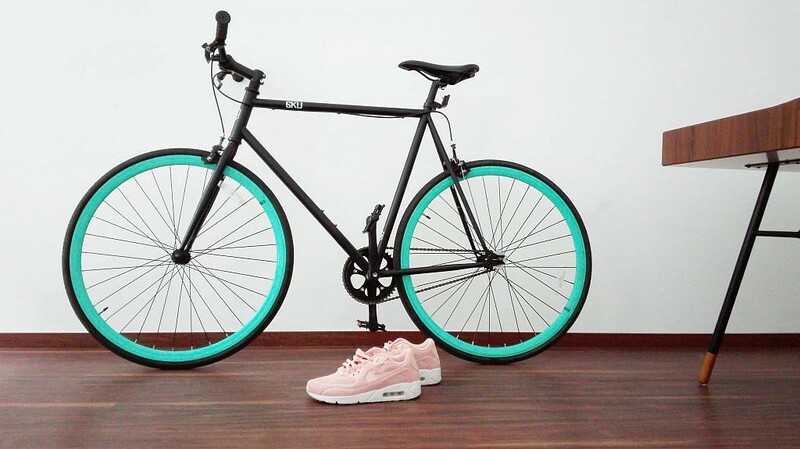 The Bike Shelf. Elevate it underneath your favorite books, photos, or cycling accessories, and voila: The ultimate levitation. Whether you need help rearranging to make room for your gear display, or you’re looking to pick up your new gear from the store, Dolly can help. Just request a Dolly and we’ll send a truck and some muscle to take care of all your moving and delivery needs. This is a guest post from MakeSpace, a full-service storage company that happily stores the bikes, surfboards, snowboards, and skis of residents in New York City, Chicago, Washington DC, and Los Angeles.